One of the most flattering compliments that I receive is when people compliment my photography. Photography is something I've been interested in for as long as I can remember. I remember being gifted a Polaroid, bringing my i-Zone everywhere as a teenager, having multiple pocket sized digital cameras, eventually graduating to a "real" Cannon with film, and most recently, investing in a DSLR. When I got my specialist degree, I took a photography course, but I have to admit, I barely got anything out of it. I remember reading about the rule of thirds and hearing something about aperture, but to be able to actually tell you what those things were? Forget about it. You might remember from back in the fall that I took a photography workshop with Annette Joseph and Christina Wedge. 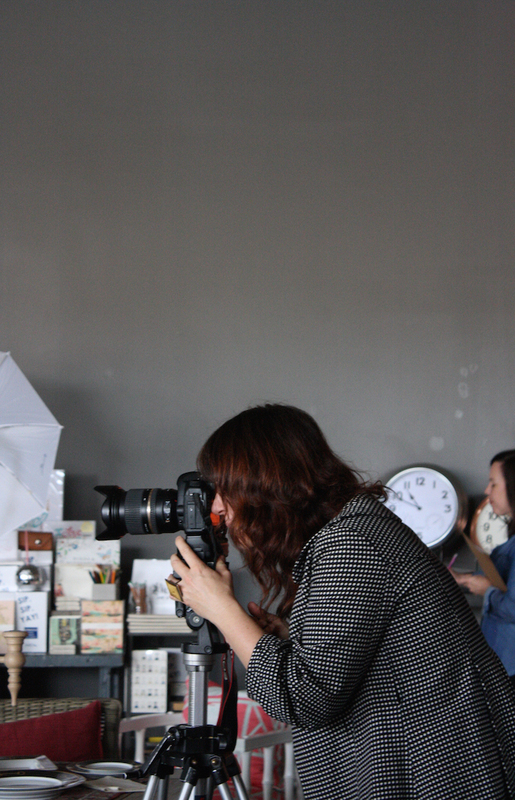 At that workshop, I focused a lot on styling and learning how to prep a series of items to be photographed. What I didn't focus on too much was my camera, so when Annette invited me to take another one of her workshops, I jumped at the chance. This time, the workshop was at one of my favorite store's in Atlanta, Steve McKenzie's. As always, the workshop was full of fabulously interesting people, and we had a great time! I made it a point to focus on my camera and learn more about what certain buttons did and why. And while there are still a zillion settings and features left to be uncovered, I definitely feel more confident with my camera. I even took Monday's photos using my manual setting which meant no editing needed in Photoshop. Yay! To read more about my workshop experience with Annette, you can visit her blog. 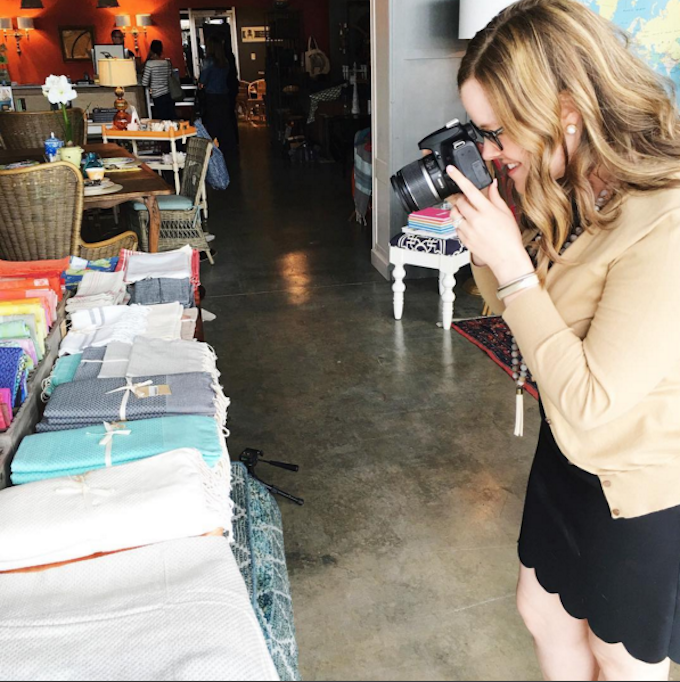 Have you ever taken a photography workshop? What was the single most important thing you learned? 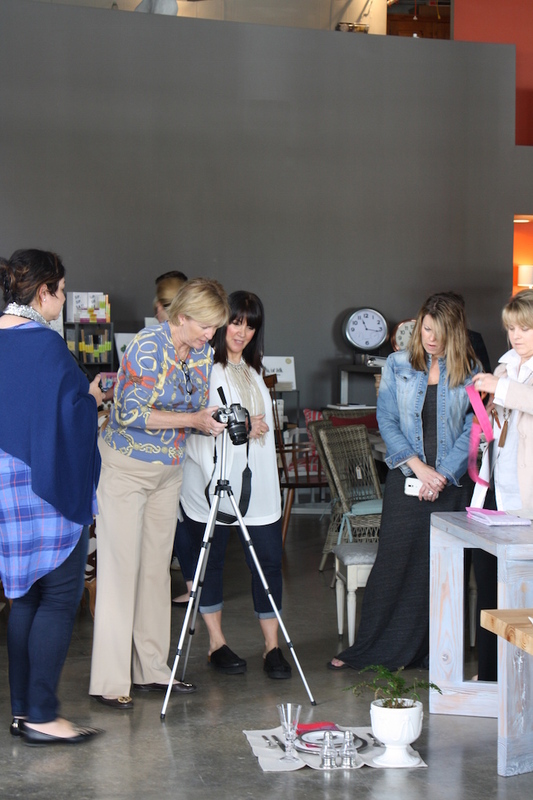 i'd love to take a workshop class like this, especially having a new camera and needing to learn all the functions/uses for it to take great photos for the blog and just in general. :) Thanks girl!